After the launch of Xperia X10 Mini in Indian market, now Sony Ericsson introduced a new handset named Vivaz Pro in India.The new Sony Ericsson Vivaz Pro now available with a price tag of Rs. 24,500. 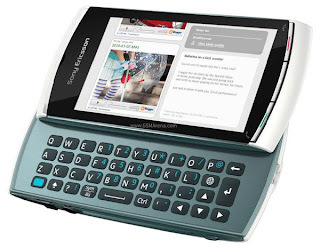 The all new Sony Ericsson Vivaz Pro handset equips a 3.2-inch resistive touchscreen with a resolution of 640 x 360 pixels.The handset packs a slide-out QWERTY keyboard similar to Sony Ericsson Vivaz but the camera is lowered to 5 megapixel from the 8 megapixel used in Vivaz. Sony Ericsson Vivaz Pro runs on Symbian S60 Version 5 OS and comes with an internal memory of 75MB.Their is provision of a microSD card slot for expanding up to 16 GB.The handset has the capability of recording HD 720p video.Other features includes 3.5 mm audio jack, Wi-Fi 802.11 b/g compatible with DLNA support. 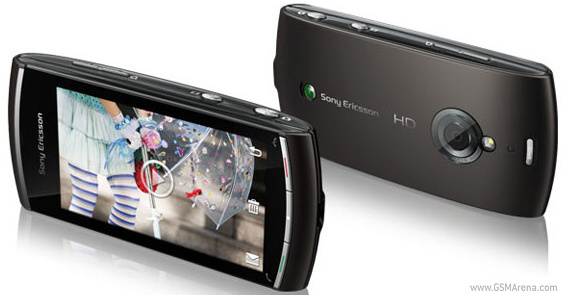 In India the new Sony Ericsson Vivaz Pro handset available in both white and black shades.The handset also includes a 1200Mah battery provides a Stand-by Up to 430 h (2G) / Up to 440 h (3G) and a Talk time of Up to 12 h 30 min (2G) / Up to 5 h 10 min (3G). Tags:-Sony Ericsson Vivaz Pro india price, Sony Ericsson Vivaz Pro images, Sony Ericsson Vivaz Pro colors, Sony Ericsson Vivaz Pro shades in india, Sony Ericsson Vivaz Pro india details, Sony Ericsson Vivaz Pro india availability, Sony Ericsson Vivaz Pro specifications, Sony Ericsson Vivaz Pro release, Sony Ericsson Vivaz Pro features, Sony Ericsson Vivaz Pro india price details, Sony Ericsson Vivaz Pro launch in india.